The world's best-selling weedkiller, Round Up Ready and a Monsanto genetically modified corn resistant to it, can cause tumours, multiple organ damage and lead to premature death, a new French study has revealed. The results are published in The Food & Chemical Toxicology Journal in New York. Below are two videos that include scientists that worked on the two-year study discussing finding significance. Rat reality show: Russian scientists to broadcast GMO experiment worldwide so everyone can watch and see if they get the same results as just released French GMO study. After a French study suggested that rats fed on Monsanto GMO corn suffered tumors, Russian researches plan their own, this time public, experiment. The unique reality show with rats is expected to prove or deny GMO’s health-threatening influence. So they came up with the idea of public experiment. Web cameras, installed in cages with rats, will broadcast all stages of the experiment online. The unique reality show will be available on the Internet 24/7 worldwide. The idea behind the test is to feed several groups of rats with different food. One group will be fed with soybeans and corn with a high content of GMOs, while the other gets the same products, but with low GMO levels. The third will be given food with no GMO whatsoever, and the fourth with standard rat food. Does GMO Corn Really Cause Tumors in Rats? The significance of the first long-term study of GMO safety is getting a lot of buzz—but it's strictly limited by small sample size. This week, a French research team published a paper  in a peer-reviewed US journal showing that rats exposed to low doses of both genetically modified corn and the widely used herbicide Roundup had negative health effects. The results, already generating plenty of debate, are not as clear-cut as they seem at first glance. But they do shine a harsh light on the ag-biotech industry's mantra that GMOs have indisputably proven safe to eat—and establish an urgent need for more long-term research. Before I dig into the study's details, it's worth pondering what we know about the long-term effects of eating genetically modified foods. Surprisingly little, it turns out, given how ubiquitous they are in the US food supply. Genetically engineered seeds first hit commercial farm fields in 1996, and quickly became ubiquitous in the largest and most subsidized of US crops. 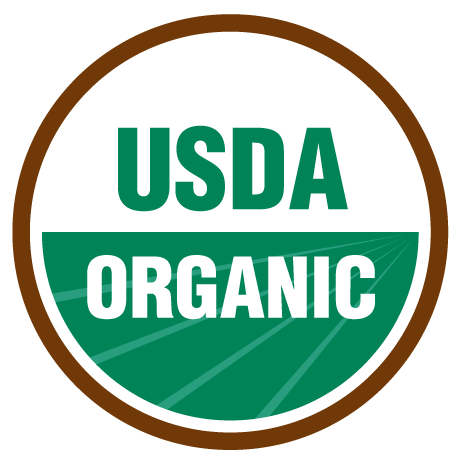 Today, most non-organic US corn, soy, cotton, sugar beets are GMO—and combined, they provide a vast portion of the sweeteners, fats, and additives used by food manufacturers, and nearly all of the feed used by the meat industry. Before they ever hit supermarket shelves or factory livestock farms, back in the '80s, the Food and Drug Administration gave  GMOs "generally regarded as safe" status, meaning that the industry had no obligation to conduct long-term safety studies. And since the seed companies wield patent power over their products, researchers have little access to GMO seeds  for independent safety testing. Now, it's true that GMOs have been proven safe in one sense: No one, to the best of my knowledge, has ever dropped dead from drinking, say, a Coke sweetened with high-fructose syrup from GMO corn, or from peanut butter tarted up with soy oil. But that just means GMOs don't have what scientists call "acute" effects—severe ones that you notice right away. So are GMOs adding subtly to to this sea of dysfunction? The French researchers' study (full text ), published in the US journal Food and Chemical Toxicity, raises concerns. The study surely counts as the most ambitious and comprehensive safety assessment of GMOs ever conducted. It involved 200 rats and spanned two years, the life expectancy the particular kind of rat used. The longest-running previous study lasted 240 days, Michael Hansen, senior staff scientist at Consumers Union and an expert on GMO research, told me. 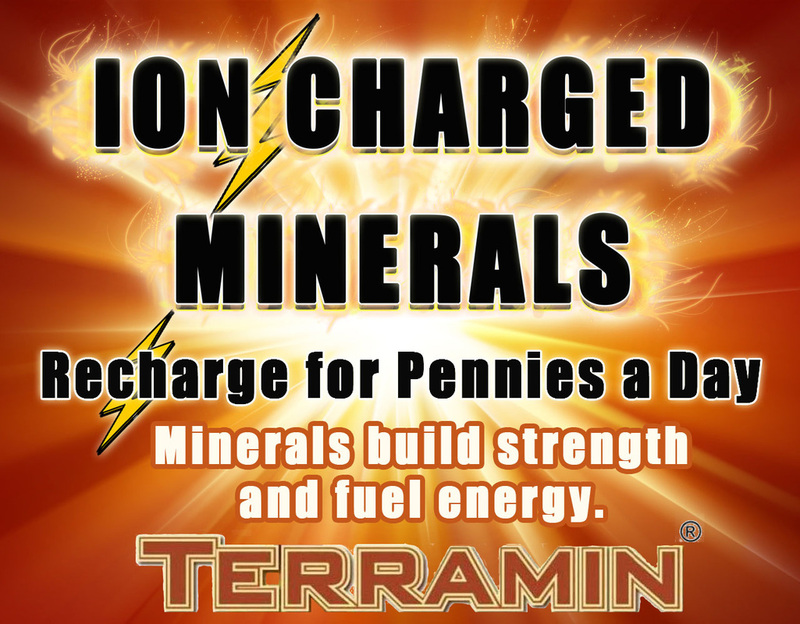 Industry-funded studies typically last just 90 days, he added. The researchers sought to determine how eating Monsanto's Roundup Ready corn affected rats' health. And they wanted to figure out whether any effects came from the corn itself or any Roundup traces that might come with it. So they separated 200 rats into ten groups: three that had part of their standard lab-rat diet replaced at varying levels (maximum 33 percent) with Roundup Ready corn that had been treated with Roundup in the field; three getting the same feed protocol, but with untreated Roundup Ready corn; three getting no GMO corn but tiny amounts of Roundup in their drinking water at varying levels; and one control group ate two-thirds standard lab-rat chow and one-third non-GMO corn. Each group contained 10 females and 10 males. So what happened? The researchers say their results, summarized here , show "severe adverse health effects including mammary tumors and kidney and liver damage, leading to premature death," in both from both Roundup Ready corn and Roundup itself, "whether they were used separately or together." Interestingly, almost all of the ill effects manifested after 90 days—the industry's preferred length for its own feeding studies. By the end of the study, the researchers report, "50 percent-80 percent of the females had developed large tumors compared to 30 percent in the control group." As for males, "Liver congestions and necrosis were 2.5 to 5.5 times higher than in the control group … [and] there were also 1. –2.3 times more instances of 'marked and severe' kidney disease." Overall, among the rats receiving GMO and/or Roundup, "Up to 50 percent of males and 70 percent of females died prematurely, before deaths could be put down to normal ageing, compared with only 30 percent and 20 percent in the control group." 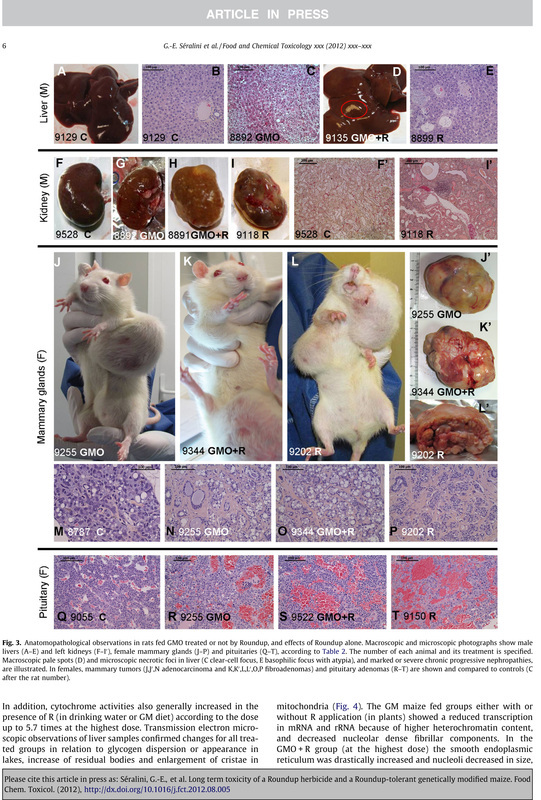 To drive its point home, the study publication includes several photos of rats with grotesquely large tumors. So does the study close the case—are GMOs slowly killing us? Not so fast. Predictably, industry-aligned scientists are raising questions about the study, but even long-time critics like Consumers Union's Hansen have concerns. Now, Hansen stresses that the new paper is "longer and better designed than any of the industry studies," adding that the journal in question, Food and Chemical Toxicity, is "well-respected." But the sample size—ten males and ten females per group—is simply too small to draw any conclusions, Hansen says. Moreover, he adds, the researchers used a strain of rat that is known to be highly prone to developing mammary tumors. That factor, plus the small sample size, means that the prevalence of mammary tumors found among the treated female rats could be happenstance, he said. "I don't want to trash" the study, said one researcher, "but I just don't see enough there that's very persuasive to me at this point." However, Hansen told me, while all of the individual comparisons—say, kidney dysfunction or mammary tumors between 10 females eating a certain level of GMO feed and 10 females eating non-GMO feed—are "statistically insignificant" because of sample size, taken as a whole, the results paint a troubling picture. Overall, the study made 54 comparisons between treated rats and control rats, and in all but four of them—two involving females, two involving males—the treated rats showed worse outcomes. "That's suggestive that there's something going on and there that should be further research," he said. I asked Hansen why serious researchers wouldn't have used enough rats in each group to get more robust results. He said that multi-year rat studies, especially ones involving so many different comparison sets, are "extremely expensive," and that the researchers likely did the best they could given their resources. Another scientist not aligned with industry interests, Ted Schettler , science director of the Science and Environmental Health Network (SEHN), echoed Hansen's concerns about sample size. And he added another: The authors didn't include data about the total food and water intake of the rats in the various groups. The amount of food and water animals consume "can affect both tumor development and kidney function," he said. "And [it] very well may affect mortality." In a Wednesday conference call with reporters, I raised Schettler's concern with study author Gilles-Eric Séralini, a professor at University of Caen in France. Séralini replied that he and his collaborators couldn't get all the data into their paper because it's "the longest and most detailed [GMO feeding study] that has ever been done so we couldn't put [all the data] in one paper." He said that all the groups had roughly equal feeding and drinking habits, with the exception of the the group that got the highest dose of Roundup, which drank less water than the others. He added that the feeding data, along with comparisons showing more GMO effects, would be published in future papers now in progress. Schettler added the way the paper presents some of its data is "unusual" and was hard for him to decipher. Overall, he said, he's "intrigued" by the results, but isn't convinced. "I don't want to trash" the study, he said, "but I just don't see enough there that's very persuasive to me at this point." He added: "It does suggest to me that we need longer term feeding studies with GM foodstuff, in a standardized way with the right number of animals in each group so we can pick up the changes and be confident that they exist." He stressed that using enough rats to show robust, statistically significant results would be very expensive. So where does all of this leave us? This latest study is hardly definitive, but it provides a disturbing hint that all might not be right with our food—and shows beyond a doubt that further study is needed. Hansen and Schettler's remarks to me about how proper studies would require a serious commitment of resources reminded me of just how little funding GMO safety studies get here in the United States, the global capital of GMO production and consumption. Between 1992 and 2002—the period over which GMO crops moved rapidly from test plants to farm fields to dinner tables, the USDA spent about $1.8 billion on ag-biotechnology research—of which about 1 percent went to safety testing, a Union of Concerned Scientists analysis  shows. Meanwhile, the ag-biotech industry uses its patent power to maintain tight control over who researches what —and dominates the research agenda at America's main ag-research universities. When we eat GMOs, as millions of Americans do every day, we're still eating in the dark. The French study didn't fully illuminate the situation, but it's a start. Genetically engineered foods are not safe, have not been properly tested and pose a serious threat to human health and the environment, according to a new report by two genetic engineers. In GMO Myths and Truths, the scientists refute the claims made by companies that produce genetically modified crops and organisms (GMOs). "GM crops are promoted on the basis of ambitious claims - that they are safe to eat, environmentally beneficial, increase yields, reduce reliance on pesticides and can help solve world hunger," said co-author Dr. Michael Antoniou of the King's College School of Medicine in London, U.K. But the research on them is incomplete, lack proper testing in humans or any long-term study, the report said. Regulatory agencies all over the world typically rely on information supplied by the for-profit companies producing GMO products, rather than any independent testing. Furthermore, the authors said, GMO crops have increased the use of toxic herbicides and pesticides that have been linked to cancer, birth defects and other medical issues. Calling the current method "crude" and "imprecise," co-author Dr. John Fagan said, "It can create unexpected toxins or allergens in foods and affect their nutritional value." The report cites data from scientific literature as well as reports from doctors, government bodies, industry and media. Study this diagram to see why pesticides don't really go away, they are just shifted to another location. Eventually they end up in our bodies. People all over the world are fighting to keep Monsanto genetically modified organisms out of their food. Let's start by fighting to get it out of the food we eat and feed our children. 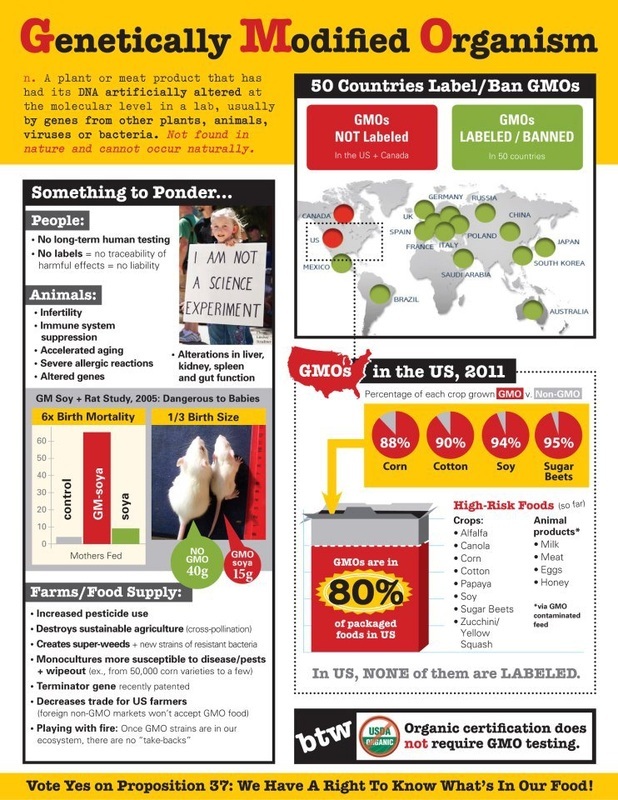 Know which foods contain GMOs then DON'T BUY THEM! Keep GMOs out of your families food. Call the White House and your legislators and tell them you don't want GMOs in your food think they should be labeled. In the meantime find out what companies have paid millions of dollars to keep you from knowing what's in your food. Take a look at the names of the companies that have been fighting for YES on Prop #37 and your Right to Know what's in your food. 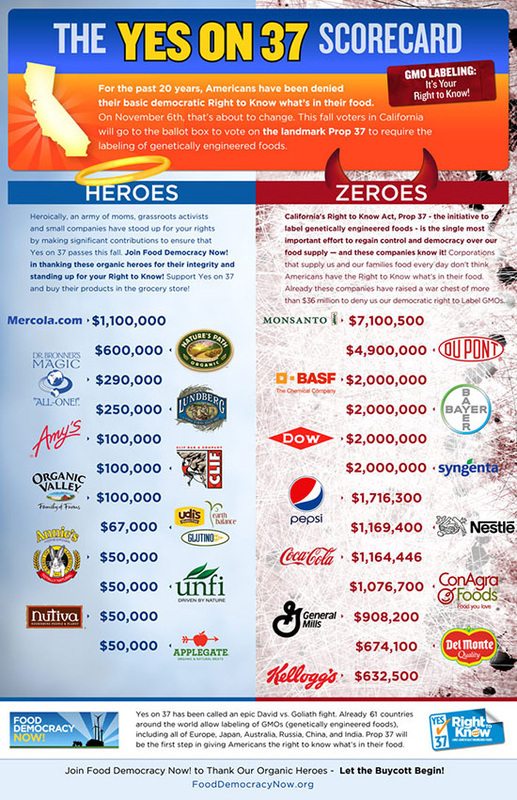 Find out what companies paid millions so you can't know if GMOs are in your food. The world is uniting on this issue! People in many different countries are gathering in protest of GMOs in their food. Over 60+ countries have passed mandatory GMO labeling laws. 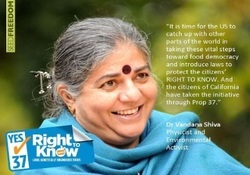 Click here to find out what Vandana Shiva says about GMOs. Her perspective might surprise you. Click to find out what she has to say. Who's paying so you know or NOT know what's in your food. Click graphic to view larger version. Using billions of dollars, Monsanto has transitioned over 90% of our corn, soy, cotton, and canola to GMO over just the last 10 years. Those fighting it with everything they have are products with one or both of these two seals. 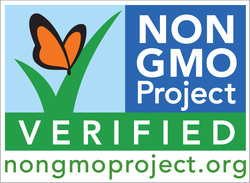 They only thing you can trust to be non GMO. Click graphic to go there. 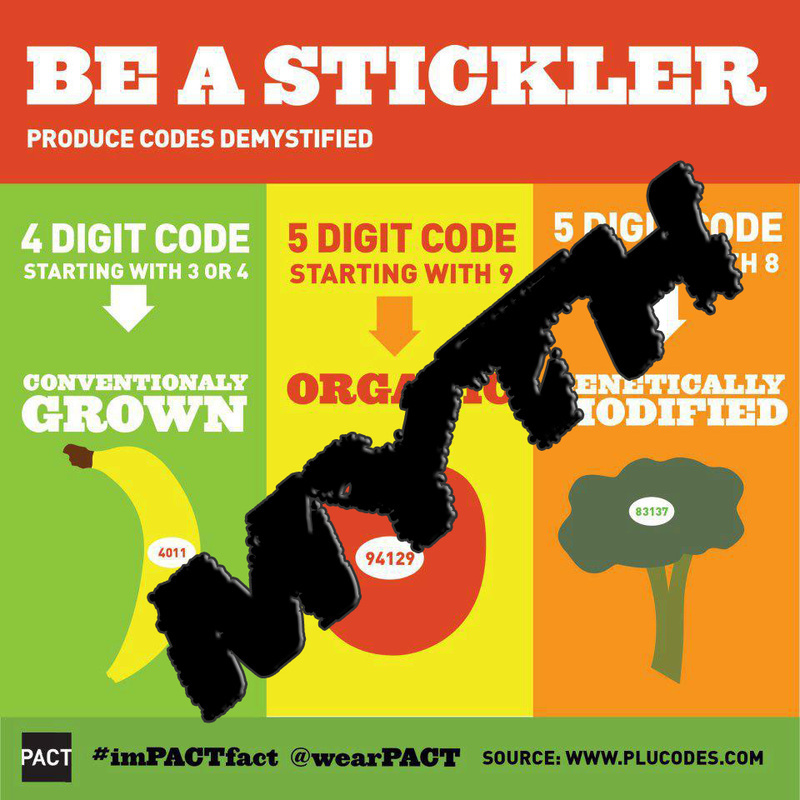 Find out how to be a GMO Detective. Avoid GMO effects. Don't buy them! Pesticides are more toxic than ever. Smaller amount, higher toxicity. Click to find out the risks of these poisons on our food. Especially for children. Here are the Monsanto All Stars or failures as they are now called. GMO seed and Round Up Ready pesticide. If an insect eats some of the plant grown from these seeds, they die because the plant has a special genetically modified pesticide it makes as it grows. That pesticide in the plant targets intestinal cells and destroys them. They can do that in our guts too because we also eat those plants. This can lead to "leaky gut." The Round Up is the double pesticide whammy you get when you eat the food. Round Up kills because it binds with nutrients in the soil and starves the weeds. The plant you eat is growing in the same soil. No wonder we have so many deficiency diseases because we are being starved of nutrition, poisoned, and attacked by genetically modified organisms. Some fields are located close to where people live and children play. Have heard that you can see people in the full protection gear while spraying a field right across the street from a school. Conventional rice farming practices not only spray heavy pesticides, but then they burn the fields and pollute air for miles around with thick black smoke. That's not how organic rice farmers do it. What's left on the field is used to fertilize soil. Why pollute when you don't need to? Better for everyone. How do you say No GMO in Russian? See if you can spot it on the label. 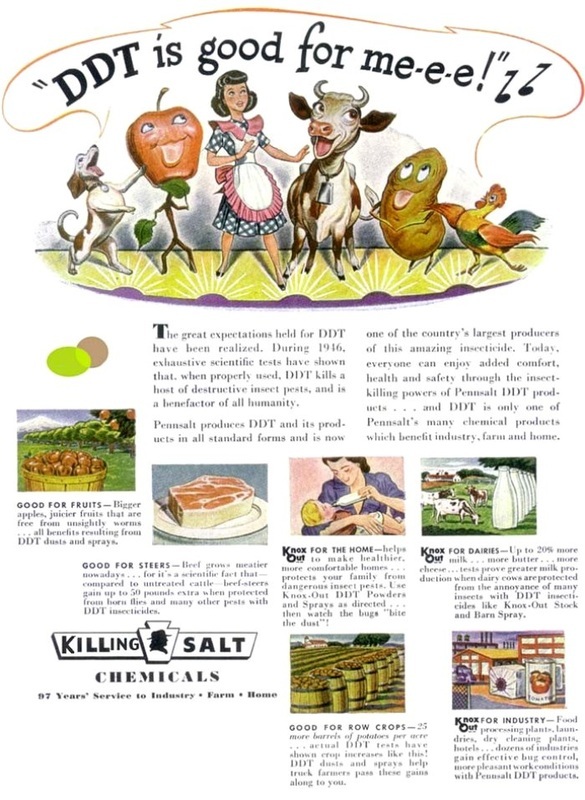 Remember when they told us smoking and DDT was safe?